All-round angler and fishing legend Matt Hayes, and livewire German angler Babs Kijewski are on the fishing road-trip of a lifetime in the wild places of Canada. 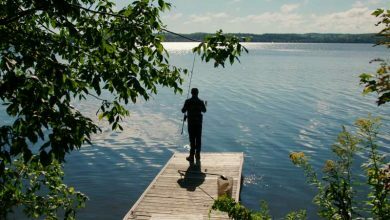 They're in Ontario, home to 10% of the planet's fresh water, and going after some truly iconic species - musky, pike, carp, walleye, brook trout, and salmon. On the first stop of their epic Canadian adventure Matt Hayes and Babs Kijewski are at the huge Lake of the Woods, which spans 2 Canadian provinces and one US state. Their target? To land a fish they've both dreamed of catching since childhood: a musky. But these fish aren't called the fish of 10,000 casts for nothing. After a successful first stop Matt and Babs board a float-plane to take them to a private island camp on Lake Sesaganaga. Weight restrictions on the plane mean they have to catch some walleye to avoid going hungry... but in a lake covering 30,000 acres, the biggest challenge will be finding the fish at all. Leaving their island paradise Matt Hayes and Babs Kijewski head to the world's largest freshwater lake, the aptly named Lake Superior. 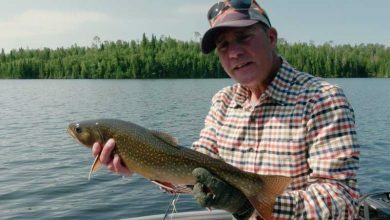 Matt's after one of his bucketlist fish - the brook trout, meanwhile Babs hopes to get a bigger walleye than she's managed so far on their road trip... but the lake holds plenty of surprises. The next stop on Matt Hayes and Babs Kijewski's Canadian adventure takes them to yet another huge, remote lake - Esnagi. The lake is packed with fish: pike, walleye, brook trout, perch. But getting there involves a bumpy ride on a 50+ year old float plane, something Babs isn't too sure about! 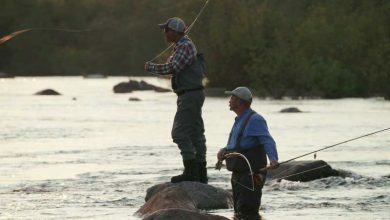 Next up for Babs Kikewski and Matt Hayes is one of the many rivers that flows into Lake Superior. They're chancing their arm for various salmon, but the weather, water levels and a public holiday mean that it is going to be a struggle. Perhaps a traditional blessing at a First Nation pow wow will bring some luck. 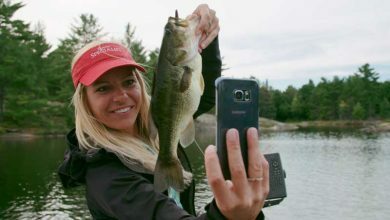 Matt and Babs are nearing the end of their Canadian adventure, and the penultimate stop is on the French River - the target species, one of North America's most popular fish: the bass. Matt is also having one last go to catch himself a fish of 10,000 casts - the legendary Musky. The final leg of Matt Hayes and Babs Kijewski's trip takes the pair to Rice Lake, famous for the carp fishing. A lakeside apartment, blue skies, and a lot of carp. In Canada, carp aren't really considered sportfish, so they've barely seen a boilie before - will this help our dynamic duo end their trip on a high?